BERLIN - Democratic Incumbent House Speaker Joe Aresimowicz is saying he won re-election to the 30th House district against GOP challenger Mike Gagliardi, despite the margin of victory being within the grounds for an automatic recount. He also called for the Berlin Republican Town Committee Chairman to resign. Aresimowicz’s 5,892 votes was 37, or .3 percent of the total votes Tuesday night, more than Gagliardi’s 5,855 votes, according to numbers from the state's Secretary of State. A margin of victory within 0.5 percent, but is no more than 2,000 votes, constitutes an automatic recount in Connecticut, according to a 2017 Office of Legislative Research report. The district covers parts of Berlin and Southington. “The reality is this race is a lot closer than it should have been, in part because of some illegal activities that happened in the waning days,” said Aresimowicz, after waiting hours after polls closed for final results to come in from Southington Election Day Registrations and absentee ballots. According to Aresimowicz, signs were put up at polling places and placed in the Berlin Citizen newspaper by a “concerned citizen,” but were the same images used by the Republican Town Committee. Coordinating the ads under the auspices of a concerned citizen because the expenses for the ads were outside expenditure limits was illegal, Aresimowicz said. He said he’ll be filing complaints about them. Gagliardi maybe didn’t want to run such a type of campaign, Aresimowicz said. Three or four votes may change as a result of the recount, Aresimowicz added, but not enough to change the outcome. “It’s an automatic recount. That’s the rules. We’re going to follow the rules,” said Reilly Tuesday night. Reilly said “no comment” on if she will be resigning. She said the ads Aresimowicz referred to were not RTC posters, as members of the RTC said Aresimowicz himself ran a dirty campaign by putting up signs that called Steven Baleshiski a racist, radical and bigot. Baleshiski was the former GOP candidate to challenge Aresimowicz before he withdrew his candidacy in early October and lost his party’s nomination after receiving criticism over negative Facebook posts of his. Tolls may not be popular but the state needs to come up with a way to fund its aging infrastructure, he said. His desire to have a bipartisan budget is what caused it to be several months late last year, he added. 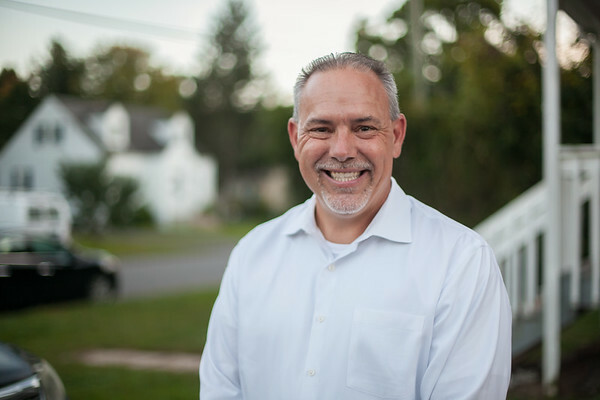 Aresimowicz, a 47-year-old education coordinator for American Federation of State, County and Municipal Employees Council 4, is looking to secure his seventh consecutive term, having elected to the legislature in 2004. He has said this will be his final term as House speaker and in the legislature and he has no further political aspirations. Continuing bipartisan discussions, such as those that produced the budget agreement two years ago; finishing workforce development efforts, particularly in the manual labor trades; and deauthorizing the $10 million toll study were his major focuses in the run-up to the election. Workforce development to make sure students stay in state was going to be his top priority, alongside House Majority Leader Matt Ritter, D-Hartford. Obtaining funding for the Berlin community/senior center and transit-oriented development around the train station, while continuing to work for Southington, were his local priorities. He denied residents’ allegations during the campaign that union workers or lobbyists had been paid by their employers or by his campaign to work for his re-election, saying that would be illegal. Gagliardi, also 47, faced an uphill battle after becoming the 11th-hour replacement for Baleshiski. A manager at Walgreens who said he didn’t share the viewpoints of Baleshiski, Gagliardi said he wanted to bring a fresh viewpoint to government to address the state’s deficit. Preventing the reintroduction of tolls on state roads and renegotiating the State Employee Bargaining Agent Coalition agreement were Gagliardi’s main issues of interest prior to election day. Posted in New Britain Herald, Berlin, Southington Herald on Wednesday, 7 November 2018 01:49. Updated: Wednesday, 7 November 2018 12:20.